Sometimes, you just need to roll some meat balls in your hands! – Butter, Baking, and Bacon! Sometimes, you just need to roll some meat balls in your hands! I’m talking homemade meatballs, chock full of veal, pork, chuck, parmesean cheese, onion, parsley, and garlic! My hubby knows how much I love Italian food! (When Giada is on Food Network, leave me alone!!) It’s getting cooler out and although a big bowl of soup is great, a platter of meatballs atop hills of spaghetti and tomato sauce is right up my alley! 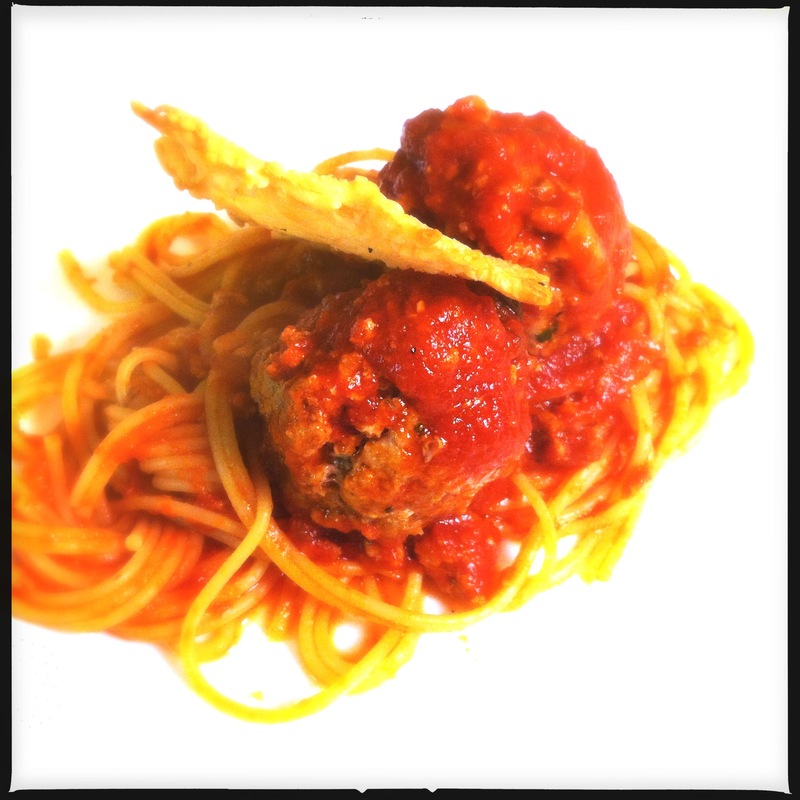 Spaghetti and Meatballs topped with a homemade Parmesan crisp! Mix all ingredients gently in a large bowl until well combined, clean fingers work best. Be careful not to overmix! Roll meatballs about the size of ping pong balls. Place in shallow baking dish and cover with beef stock. Cover pan in foil and bake for 20 minutes. Add to your favorite sauce and top spaghetti!! Previous Post No need to cross the border–Mexican is at your fingertips! Next Post And Biscuits for All! Meatballs never get old, in any way, shape, or form. Yours look delicious! Those look so delicious! Nom nom nom!